The suspected find comes on the heels of the military's discovery of a workshop used by militants to manufacture chemical weapons. The French-made weapons and ammunition were found during the military's operations to sweep the towns of Modira and Mesraba of militants, the sources said. Paris has made no secret of its weapons deliveries to Syrian 'rebels', with illicit deliveries continuing in 2012 despite a European embargo. In a 2015 interview, then-President Francois Hollande admitted that France had delivered the weapons, saying that he was "certain that they would end up in the right hands." France provided the militants with small arms, rocket launchers, and anti-tank missiles. In addition to weapons, France has also provided rebel groups with other forms of support, including cash and military advisors. In 2014, Hollande justified the supply of weapons, saying that France "cannot leave the only Syrians who are preparing a democracy…without weapons." France has been at the front of the line of Western powers accusing Damascus of using chemical weapons in its struggle against militants in Eastern Ghouta. Last month, French President Emmanuel Macron warned that France "will strike" if reports about the Syrian government's use of chemical weapons against civilians were confirmed. "On chemical weapons, I set a red line and I reaffirm that red line," Macron said, referring to a telephone conversation he had with Russian President Vladimir Putin. The Syrian government has repeatedly denied using chemical weapons, pointing out that their chemical weapons stocks were destroyed in 2014 as part of a deal brokered by Russia and the US. 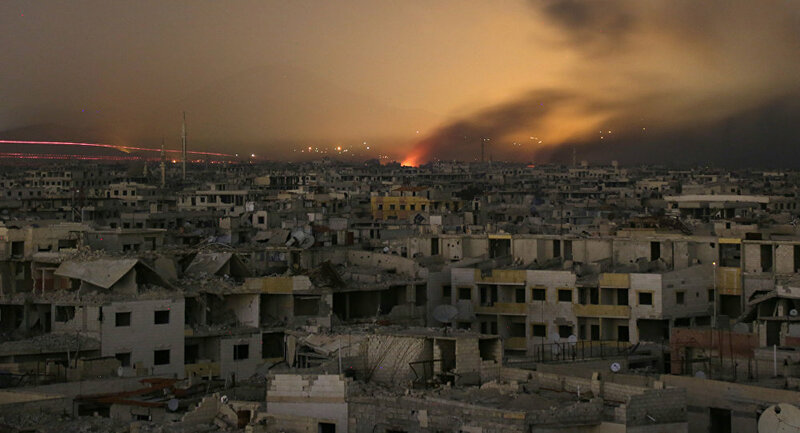 The Damascus suburb of Eastern Ghouta has been under the control of a motley collection of Islamist militants, including the al-Nusra Front* since 2012, with an estimated 10,000 to 12,000 militants estimated to be holed up in the area. 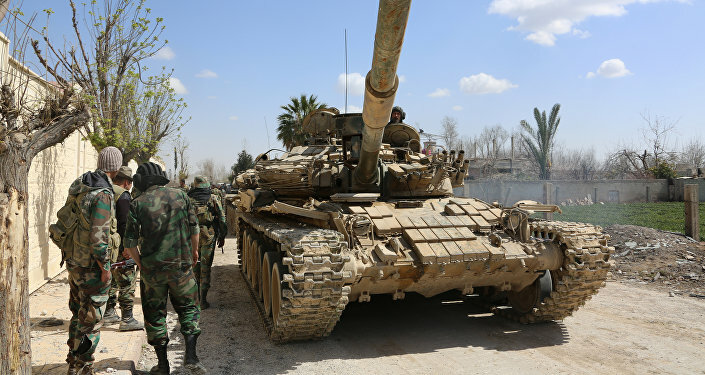 The Syrian Army began a major military operation, code-named 'Damascus Steel', last month in a bid to liberate the territory. According to the latest estimates, the Syrian Army has now liberated well over half of the area, dividing the area under terrorist control into three pockets.